BASKETBALL SPOTLIGHT NEWS: Basketball Spotlight DMV Takeover 7th Grade Best Of The Best & Top 10 Player Performance Rankings! 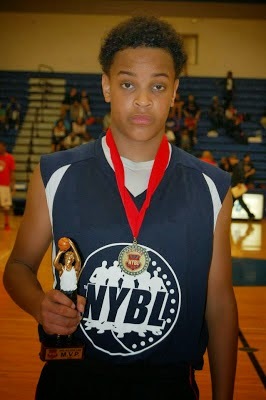 Basketball Spotlight DMV Takeover 7th Grade Best Of The Best & Top 10 Player Performance Rankings! Terrence "Big Smoove" Williams Finished As The Best Performer! The 7th Grade Division had some budding youngsters and gave us a first time champion. Here’s the Best Of The Best and Top 10 Performers from the Class of 2019. “Big Smoove” gets my vote after registering a huge weekend. He’s been balancing his time with his grammar school team but this weekend he made sure he was in the building at the right time. His numbers speak for themselves, kid is a walking double-double. The lanky wing player has potential oozing from his veins. When he makes a move you can picture how that same move might be enhanced two to three years from now. He will be a name to know in the DMV area. Whether it’s scoring and making the right pass on the break, Bradshaw looked very comfortable in Maryland. He once again showed that take over the game ability. Hairston played in the Blue Division but buckets are buckets and he had a lot of them. In the semifinals versus Team Takeover (Orange). He literally carried his team to victory. Leave this kid open and he will make you pay dearly. Ali will torch you with the mid-range or deep ball. He makes it look so smooth and easy. His versatility and size allows him to guard the 1 thru 4 positions. This skill and talent will keep him on the floor for most of the game. He also isn’t afraid to stick his nose inside for rebounds. Brelsford delivers the rock like air mail, quickly and efficiently. He can make the simple in the flow of the offense or he can put a little mustard on it in transition. During the Clash For The Cup TN looked a little rattled at times but now the quarterback returned and they are getting back in sync. This kid just calms everything down.